Boldly collect what no man has collected before! Featuring the likeness of DeForest Kelley in a simplified retro Kenner format, Dr. Leonard "Bones" McCoy is a must-have for all Star Trek: The Original Series fans! 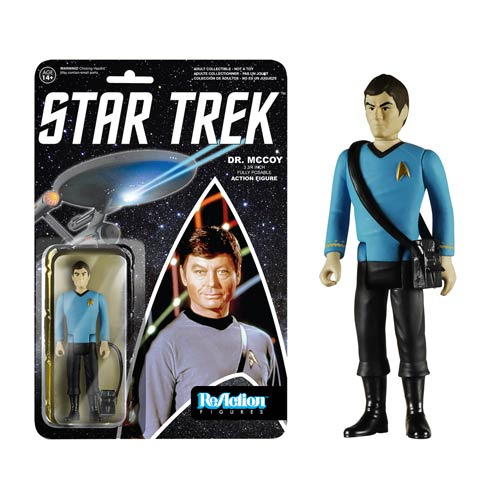 This 3 3/4-inch tall ReAction Star Trek Dr. McCoy Action Figure has 5 points of articulation and features the 1980s style card back design. Assemble your crew today! Ages 14 and up.